Send “handwritten” thank you notes for weddings, Bar Mitzvahs, or any other occasion. Easily send to a large number of recipients. Personalize your notes in a way that would not be practical if you had to actually hand write each one. Use handwriting that looks completely. natural. 3. 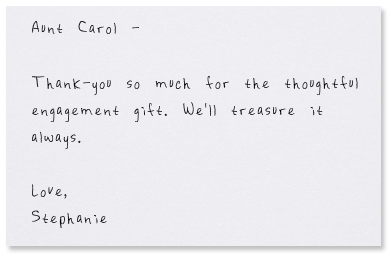 Write one note (which you may easily personalize for other recipients) … and we do the rest! impress your customers or clients. If you’re like many of us, you’ve got an email account of a spreadsheet filled with your friends and family. Thankster makes it easy to import your entire list and send each one a beautiful, personal card. With this simple step you’ll be sending out thank you cards in no time.